When your central air conditioning stops working in the summer heat or you need a brand new heater, you can depend on Cote’s Mechanical. Our team of HVAC experts can provide timely and reliable service for your home or business in Frisco. Our company knows how important it is to have high-quality service you can turn to for emergency repairs or new installations. That’s why we offer the best A/C and heating services in Frisco. No matter what your HVAC needs are, get in touch with us for prompt service. Our HVAC professionals have years of experience and the right skills to ensure that you have a home or business that stays as cool or as warm as you need. Whether you’re looking for a more energy-efficient heating and cooling system or suddenly need A/C repairs, we’re here to help you out. 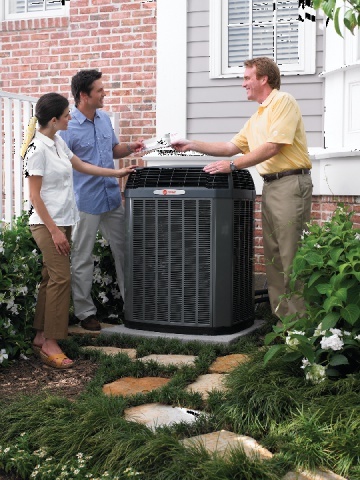 Your HVAC system is one of the most significant investments for your home and can affect its value. It’s important to have your system fixed by licensed professionals who know how to determine the cause of problems and get them fixed as quickly as possible. When you turn to Cote’s Mechanical for A/C and heating unit installation and repair in Frisco, you don’t have to worry about getting low-quality service. Our HVAC technicians have the expertise needed to properly install and repair heating and cooling systems for residential and commercial properties. Our company also offers routine maintenance and replacement services for heating and cooling systems. Whether you need a heat pump replacement or repairs for your electric furnace, we have the tools and knowledge to get it done. Our other services include attic ventilation and insulation to help your home or business stay as comfortable as possible. When you need HVAC services at your home or business in Frisco, having to wait longer than expected for a technician to show up is frustrating. Having a technician who doesn’t perform repairs or other services correctly or within a reasonable timeframe is also a problem. Our team of technicians and co-owners Cote and Kristi Wyatt focus on providing customers with the best experience possible, no matter what services are needed. Cote’s Mechanical has proudly served the Frisco area since 2001, and we continue to provide exceptional care to each of our residential and commercial customers. Reviews from past customers often highlight how timely our services are, especially for customers who suddenly have their A/C break down during summer. We’re proud to share that we’ve been awarded a Super Service Award from Angie’s List. Our A+ rating with the Better Business Bureau and our Air Conditioning Contractors of America (ACCA) accreditation also show that we’re dedicated to offering outstanding customer service. 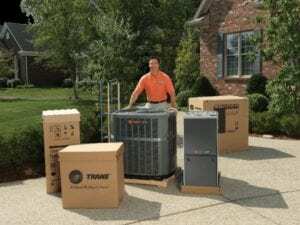 In addition, we’re also a Trane Comfort Specialist, which means that we have met high service standards in the HVAC industry. Frisco residents typically bring in above-average income while also paying a bit more for housing compared to national and state averages. The average household income in Frisco is $117,642, which is significantly higher than the U.S. average of $55,322 and the Texas average of $54,727. Houses in Frisco cost an average of $300,900. For comparison, the national average home price is $184,700, and the average home price for Texas is $142,700. Frisco is home to around 160,000 people. Those who live here can get to nearby Denton in a little over a half-hour via I-35E N. Dallas is just a 40-minute drive away via US-75S, and Fort Worth is about 50 minutes away via TX-121 S.
The City of Frisco offers a variety of attractions, amenities, and events for residents. Admire works of art at the Texas Sculpture Garden, or see live performances at the Black Box Theater. Other attractions include the Sci-Tech Discovery Center and Frisco Heritage Museum and Center. Play a round of golf at Frisco Lakes Golf Club’s championship course, or go biking through scenic surroundings on the Frisco Mountain Bike Trail. Visit BarnLight Eatery for authentic Texas cooking, or enjoy lighter fare at 5th Street Patio Cafe. Frisco provides residents with many ways to help the community, from recycling to fire safety. Volunteer opportunities in Frisco are available at the Public Library, Frisco Fire Safety Town, Frisco Police Volunteer Association, and WaterWise. Whether your furnace stops working in the middle of winter or you need to invest in a more energy-efficient central air conditioner, give Cote’s Mechanical a call. We offer quality heating and cooling services, including repairs and installations, for residential and commercial customers in the Frisco area. Great, fast and friendly service!! Bill and John were excellent! Problem was solved quickly. They were very professional! Bill did an excellent job on our tune up. Bill was awesome and very professional. Thank you for excellent service to my HVAC! I could not have asked for a better service than the one offered by Bill. Thank you very much for your quick resolution. On time, very friendly and quick to resolve the issue. Excellent. Very knowledgable & friendly.